in some instances, applying insulation to the top side of a roof can be beneficial. This can be due to a metal roof being old and in need of replacement or due to the fact that an internal application will be too disruptive to the business. Likewise old or new concrete roofs can benefit from this system. Application to the external surface can provide a great alternative to re-roofing. 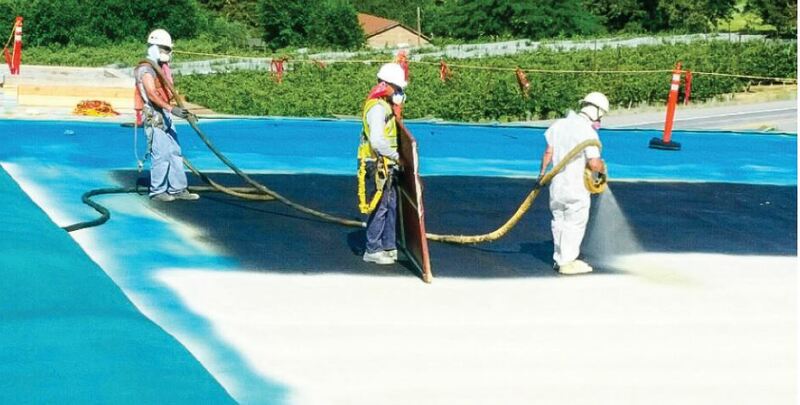 The system comprises a high density spray foam as well as a high build acrylic membrane for long-term UV protection.